Welcome! Our unique facility provides high quality auto detailing, paint touch up, dent removal, clear bra application, rim repair and interior repair services all at one convenient location. 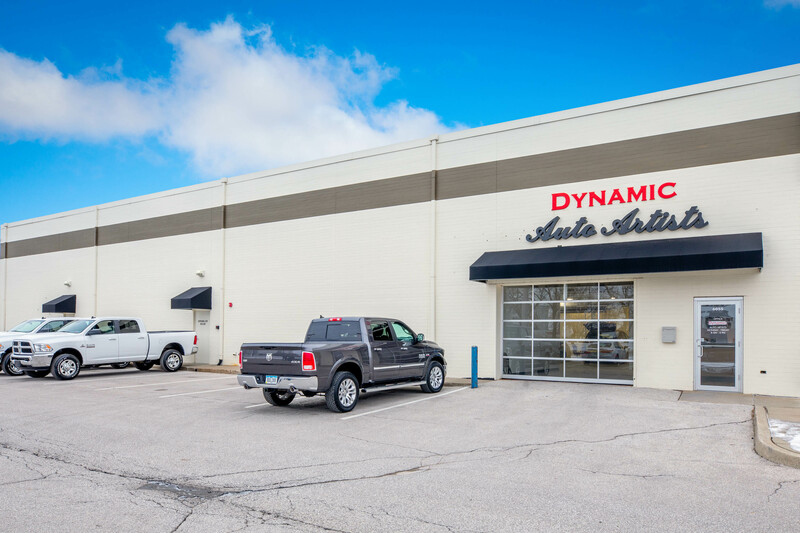 At Dynamic, we are the Auto Appearance Specialists. See below for a detailed description of what we can do for you. Or, you may also call our store and you will be greeted with a friendly and knowledgeable staff eager to help with your questions. Come experience why Des Moines has trusted their vehicles to us for over 25 years! Our experienced staff uses the highest quality commercial grade products and equipment available. This enables us to produce a finished product far superior to what an individual could achieve in their own garage. We recommend once-a-year preventative treatment. Hail damage to cars is one of the most common problems car owners face in the summertime. Here at Dynamic Auto Detailing, we know that your car can’t be under a roof all the time, so we’re here to help in the event that Mother Nature takes its toll on your car’s paint job. With over 18 years of experience returning interior damage to ‘like new’ condition, we repair burns, holes, cracks, tears, rips, and other damage in leather, plastic, vinyl, fabric and steering wheels. Carpets, seats and other interior panels can easily be repaired and re-colored. Using our state of the art air brushing technology, we can easily repair rock chips, bumper scrapes, cracks, dings and any other minor mishap that your car’s exterior has sustained. We know that car owners take great pride in how their vehicle looks, and we’re here to help. Many dents on vehicles can be repaired without body filler or repainting with our exclusive dent removal process. Our skilled technicians gently massage the metal back into its original shape from behind the dent starting at $55 and completed within a few hours. You work hard to take care of your vehicle, but everyday wear and tear is almost impossible to avoid. Rims are especially vulnerable and can get scratched and scraped — without you even noticing. Potholes and curbs are the most common causes of damage. Protect your vehicle, one of your biggest investments from chips, scratches, road debris, and bug acids. Clear Bra is a paint protection film for your vehicle. We use 3M Pro Paint Protection film, the best option in the paint protection industry.